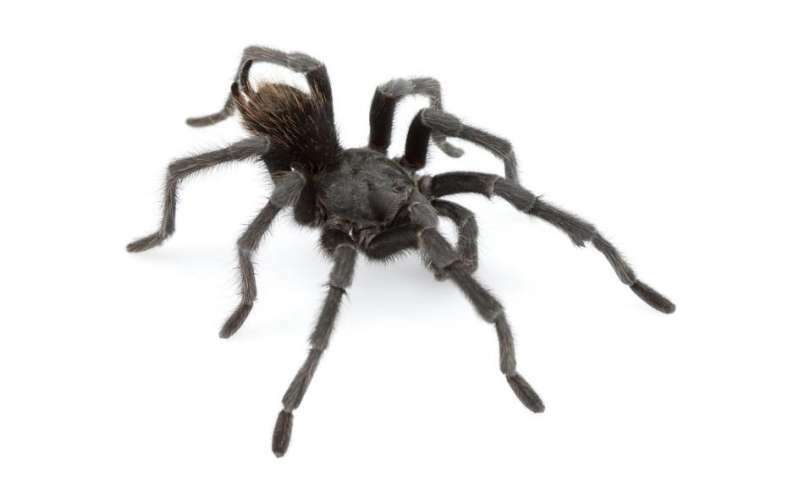 A new species of tarantula named after the famous singer-songwriter Johnny Cash is one of fourteen new spiders discovered in the southwestern United States. While these charismatic spiders have captured the attention of people around the world, and have been made famous by Hollywood, little was actually known about them. The new descriptions nearly double the number of species known from the region. Biologists at Auburn University and Millsaps College have described these hairy, large-bodied spiders in the open-access journal ZooKeys. "We often hear about how new species are being discovered from remote corners of the Earth, but what is remarkable is that these spiders are in our own backyard," says Dr. Chris Hamilton, lead author of the study. "With the Earth in the midst of a sixth mass extinction, it is astonishing how little we know about our planet's biodiversity, even for charismatic groups such as tarantulas." Tarantulas within the genus Aphonopelma are among the most unique species of spider in the United States. One aspect of this distinctiveness that is particularly intriguing is the extreme size differences that can be found between species. Some species are quite impressive, reaching six inches (15 centimeters) or more in leg span, while others can fit on the face of an American quarter-dollar coin (see Image 1). Within the United States, Aphonopelma are found in twelve states across the southern third of the country, ranging west of the Mississippi River to California. These spiders are conspicuous during the warmer months when adult males abandon their burrows in search of mates, yet very little was known about these spiders prior to the study. Dr. Hamilton notes that more than fifty different species of tarantulas had been previously reported from the United States, but that many of them were poorly defined and actually belonged to the same species. To gain a better understanding of the diversity and distributions of these spiders, the research team spent more than a decade searching for tarantulas throughout scorching deserts, frigid mountains, and other locations in the American Southwest, sometimes literally in someone's backyard. They studied nearly 3,000 specimens, undertaking the most comprehensive taxonomic study ever performed on a group of tarantulas. Because most species of tarantula in the United States are very similar in appearance and cannot be distinguished from each other using anatomical features alone, the research team implemented a modern and "integrative" approach to taxonomy by employing anatomical, behavioural, distributional, and genetic data. Their results indicate there are 29 species in the United States, 14 of which are new to science. Of the new species, one has been named Aphonopelma johnnycashi after the influential American singer-songwriter Johnny Cash. Dr. Hamilton coined the name because the species is found in California near Folsom Prison (famous for Cash's song "Folsom Prison Blues") and because mature males are generally solid black in coloration (paying homage to Cash's distinctive style of dress where he has been referred to as the "Man in black") (see Image 2). While the researchers found that most species are abundant and have relatively large distributions, they also noted that some have highly restricted distributions and may require conservation efforts in the not-so-distant future, as they lose their habitats due to climate change and human encroachment. "Two of the new species are confined to single mountain ranges in southeastern Arizona, one of the United States' biodiversity hotspots," says Brent Hendrixson, a co-author of the study. "These fragile habitats are threatened by increased urbanization, recreation, and climate change. There is also some concern that these spiders will become popular in the pet trade due to their rarity, so we need to consider the impact that collectors may have on populations as well." In addition to spider specimens collected by the research team, the study used a tremendous number of specimens gathered from museum collections across the United States, including the Auburn University Museum of Natural History (AUMNH). Project senior author Dr. Jason Bond, director of the AUMNH, notes that studies like these highlight the critical role that museum collections play in understanding our planet's biodiversity. The AUMNH, located in Auburn, Alabama, possesses the second largest collection of Aphonopelma in the world, behind the American Museum of Natural History in New York. 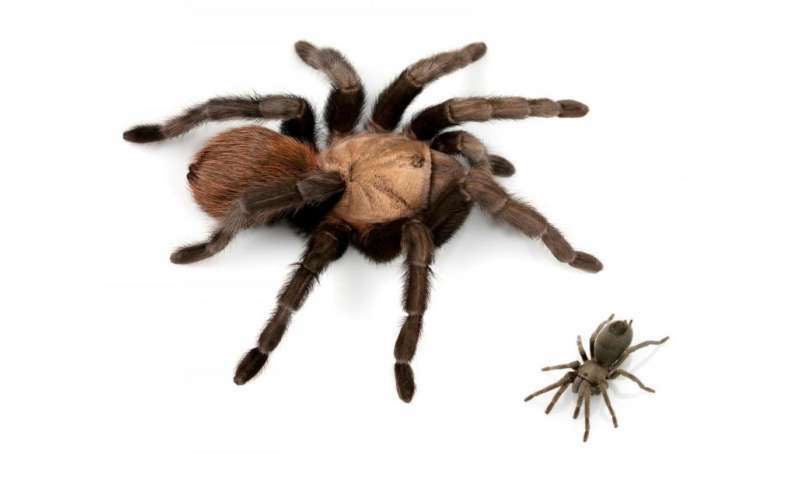 Tarantulas have gained notoriety for their imposing appearance and perceived threat to humans, but Dr. Hamilton notes that the fear is largely unfounded and that the species in the United States do not readily bite, are not dangerous, and are really just "teddy bears with eight legs".